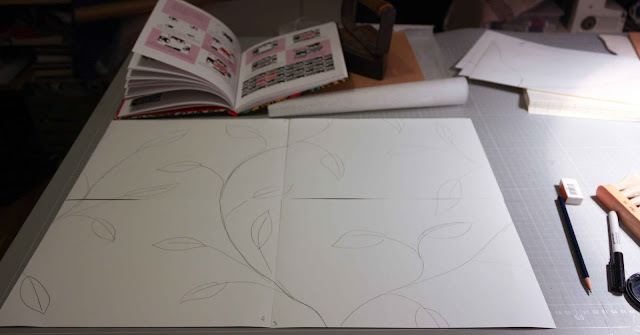 I'm working on a surface pattern with leafs. I'm in a very early sketch stage. First, I make a simple sketch. Then I copy the repeat and put out several repeat on the floor. To day I used a very simple repeat layout. I take a picture and open the image in Photoshop. 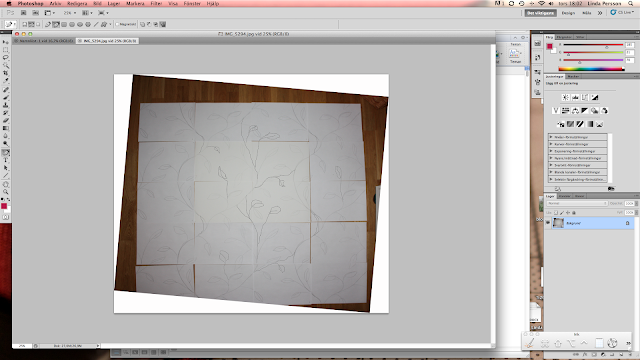 The picture gives me a nice overview and I can sketch directly on the image in Photoshop. Very good when you have a large repeat. Then I go back to pen and paper, using the Photoshop generated sketch as a template or inspiration, and start all over again. I do not like computer generated surface pattern. 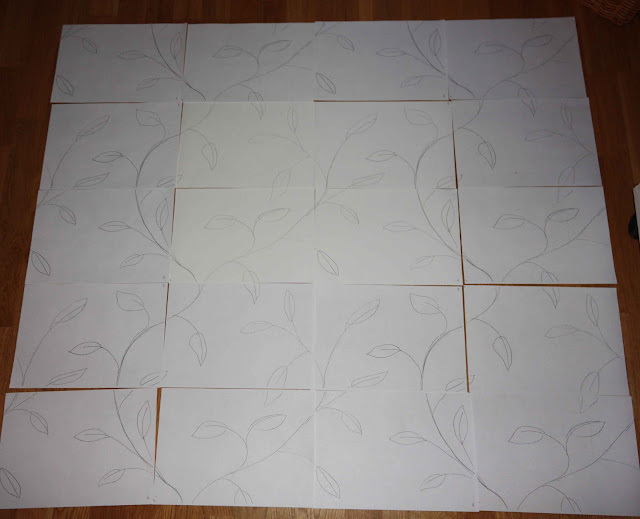 I use the computer as a sketching tool but the final pattern is hand drawn. Repeat layout on the floor. I will come back and show you the next version of the repeat.